I remember stumbling upon tryruby.org a few years back. 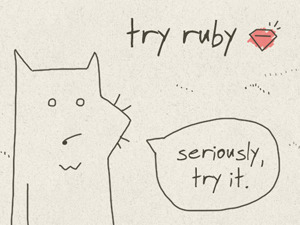 It was this neat little web-based shell that helped teach Ruby in a fun and interactive way. The site lowered the barrier to entry for newcomers: you didn’t have to download anything; you didn’t need an editor or an interpreter; you didn’t even have to know what a shell was. You would simply read the instructions on the screen, type some commands, hit enter, and immediately see the results. In mere seconds, you were coding. 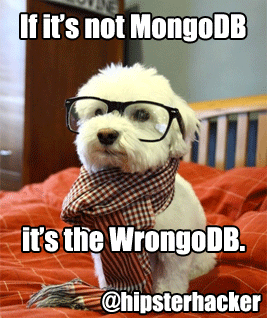 This was just one of why the lucky stiff’s many whimsical creations aimed at spreading the joy of coding. Nowadays, there are dozens of interactive code tutorial sites trying to do the same thing, mostly for profit. Some have even raised millions in venture capital to fuel their efforts. One site in particular, Codecademy, reportedly hauled in 1,000,000 users due largely to their well-timed Code Year initiative, which delivers weekly programming lessons to people who have resolved to learn to code in 2012. Last week, they announced a partnership with the White House. We’re not all going to be programmers. I promise I’m not trying to cut anyone down or dig a moat around my pristine programming castle. Those who know me know that I’ll happily teach programming to anyone who will give me the time of day. I’ve personally used sites like codeschool.com and udemy.com. I also don’t believe you have to switch professions in order to justify learning and enjoying the craft. Confused yet? Let me try to explain where I’m coming from. On a recent episode of my favorite podcast–Hypercritical–John Siracusa talks about the death of HyperCard. 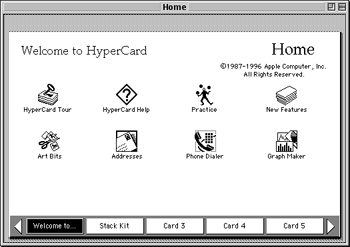 HyperCard was an application on early MacOS that let you make your own programs, or stacks, via Lego-block-style programming. HyperCard made it super-easy for normal people to build their very own programs. The nerds thought: of course everyone wants to write their own computer programs! Why else would people want a computer in their house? We just have to make it easy enough for them. John mentions other attempts at lowering the coding bar: AppleScript, Logo for kids, and Automator made programming more natural, fun, and easy. These platforms did, without question, make programming more accessible, but they never took off the way we geeks hoped and expected they would. You could build up a pretty powerful system by composing all of these pieces that you didn’t write and you didn’t have to understand. But in all of these cases–HyperCard, AppleScript, Automator–the harsh reality is that anything that lowers the bar for people to do powerful things inevitably leads to Programming with a capital P.
These abstractions were leaky. The minute you try to do anything that is even slightly off the rails, you very quickly find yourself doing actual programming: conditionals, loops, composition, abstraction. These concepts aren’t natural to most people, so they stop right there. They won’t ever make the leap, no matter how easy or fun you make it. The percentage of the population that can engineer great software is so minuscule, and that number won’t change dramatically. HyperCard couldn’t change it; Visual Basic couldn’t change it; and no amount of instructional videos and interactive code challenges can change it. We might be able to nudge the number upward by making things easier, but there is a hard limit. I would love to see more people from all walks of life learn to code, but I think we need to calibrate our expectations so we’re not shocked or disappointed when the dust settles and it’s just us nerds hunched over our laptops hacking away at 3am because we just can’t help ourselves.